Ximena Bustamante is one of the most acknowledged mediators in Ecuador. She is founding partner of PACTUM Dispute Resolution Consulting and a mediator in several mediation centers across Ecuador. She is a Professor at San Francisco de Quito University and has taught several courses and seminars on mediation both in Ecuador and Internationally. She is a senior fellow for the Weinstein International Foundation and part of the Expert Group on Mediation at the UNCITRAL. 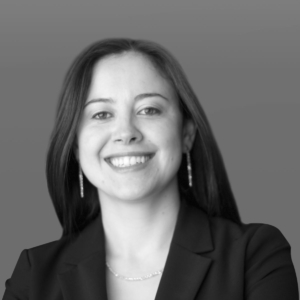 Ximena has served as National Director of Mediation at the Attorney General Office, Deputy Director at the Arbitration and Mediation Center of the Quito´s Chamber of Commerce, and Director of the Project for the Development of Mediation in Ecuador for MBB and the JAMS Foundation. In the U.S. she worked as an assistant mediator at the Weinstein Group, mediator in the courts of Los Angeles, and legal assistant at Girardi½Keese. She completed and Internship at the ICC International Centre for ADR. Ximena graduated as a lawyer, first of her class, at San Francisco de Quito University and holds an LL.M. for Dispute Resolution from Pepperdine University.